Delivers over 1800μW/cm² at 15″ (typically over 2000μW/cm², with a beam spread of approximately 6″), bulb face protected with clear UV transmitting filter and LED bulb life of 10,000 hours+. Battery operated, 5 watt UV torch for close inspection of fluorescent inks in hard-to-access areas. 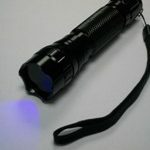 This small size torch has a single UV LED and integral Woods Filter providing 365 nm ultraviolet light. UV output at 400mm distance is 3000µW / cm². The unit is supplied with a re-chargeable battery, charger and carry case. 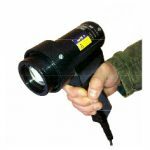 Battery operated, 1 watt UV torch for close inspection of fluorescent inks in hard-to-access areas. 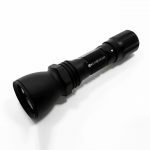 This small size torch has a single UV LED and integral Woods filter providing 365 nm ultraviolet light. UV output at 400mm distance is 500µW / cm². The unit is supplied with a re-chargeable battery, charger and carry case. Suitable for measurement of UVA and UVB, this dual range UV meter has a measurement spectrum of 290 nm to 390 nm. Switchable Hi – Lo ranges give superb accuracy up to 1999 or 19990 uW/cm² with built-in cosine correction filter and zero button. Clear LCD display and separate UV light probe allows user to measure the UV light at an optimum position. 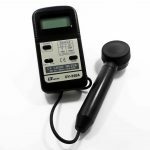 Hand-held digital white light meter with ranges of 0.1 – 200,000Lux and 0.01FC – 20,000FC. 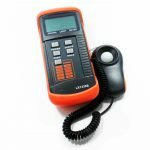 Supplied with case and calibration certificate. Johnson & Allen JAD aerosol (475g). DPI developer. BS EN ISO 571-1:1997 (BS EN ISO 3452-2:2006 Sensitivity Level 2 when used with other Johnson & Allen penetrant inspection products). Price is per box of 10 aerosols. See “Documents Tab” for specifications and Health & Safety information. UK DELIVERY ONLY ON THIS ITEM. Similar products available, please contact us for details. 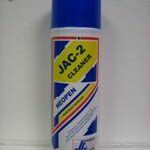 Johnson & Allen JAC-2 aerosol (400ml). 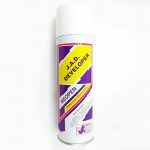 Solvent cleaner. BS EN ISO 571-1:1997 (BS EN ISO 3452-2:2006 Sensitivity Level 2 when used with other Johnson & Allen penetrant inspection products). 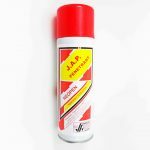 Johnson & Allen JAP aerosol (400ml). Red dye penetrant. BS EN ISO 571-1:1997 (BS EN ISO 3452-2:2006 Sensitivity Level 2 when used with other Johnson & Allen penetrant inspection products).